Are you a budding director, cinematographer, actor or screenwriter? 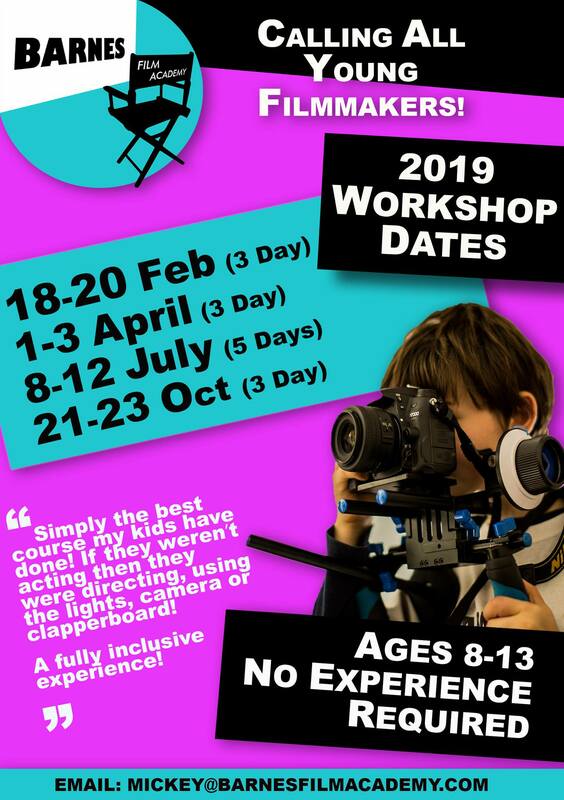 If films are your passion and you are aged 8 to 14, Barnes Film Academy (BFA) is offering you the opportunity to create your own film! BFA allows students the chance to express their creativity through the camera. Students are provided with the chosen theme of the workshop and are then responsible for creating their vision as a team. 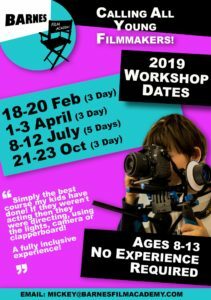 Using professional and specialist equipment, students learn a range of skills in camerawork, sound, script writing, editing, animation, acting and directing. Led by a professional, friendly and approachable team BFA aims to inspire, educate and discover talent in the future generation. “Fantastically well organized, you felt part of a proper film crew, all of the ages of children mixed well together”.